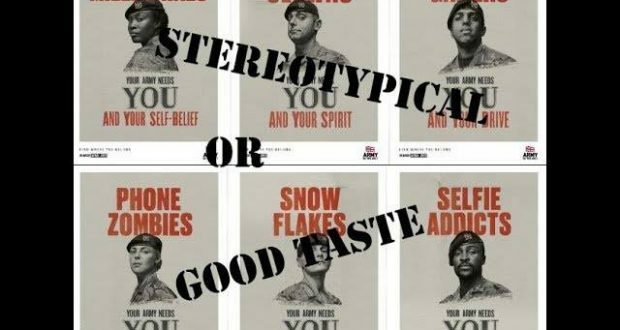 The UK army released new recruitment posters in January 2019 to aim to recruit millennials, we asked students what they think. The campaign attempted to address 16 to 25-year-olds as snowflakes, selfie addicts and binge gamers. The army is trying to be more diverse and welcoming, but do you think it went too far? Let us know in the comments or contact us on twitter @RiverNewspaper.